New Jerusalem Baptist Church and Ministries is a Word of Faith – Full Gospel Missionary Baptist Church family located in Madison, TN. Pastor Harry F. Flemmings has served as the executive pastor since the church was organized in Antioch, TN in July of 1996. At New jerusalem we stand on the Word of God as our doctrine of operation. We are committed to proclaiming the Message of Grace and the anointed demonstration of the power and authority that operates through it. We believe in the "Finished Work" of the Cross of Jesus Christ and we teach the application of “Grace through Faith” as the road to salvation. New Jerusalem Baptist Church is a Christ Centered & Christ Focused ministry committed to the teaching and demonstration of Biblical life application principles designed to empower and motivate people to accept Jesus Christ as their Lord. Changing Lives Through Prayer - Love - Teaching. Our focus is on teaching Bible based life application principles. We believe that the primary tenet of salvation is being saved by Grace through Faith in Jesus Christ as both Lord and Master. Romans 10:9-10 is the direct path that one should follow to ensure that they are heading in the Bible based direction to salvation. 2013, New Jerusalem’s name was changed from New Jerusalem Christian Church to New Jerusalem Baptist Church. 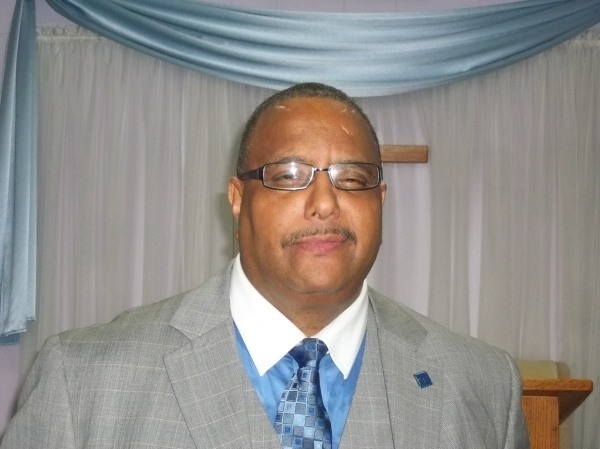 The church membership soon became affiliated with the National Baptist Convention Inc., U.S.A.
Pastor Flemmings accepted his first pastorate at St. John Missionary Baptist Church in Antioch, Tennessee in 1988. He faithfully served the St. John Baptist Church congregation for 8 years prior to planting New Jerusalem in Antioch, TN on July 28, 1996. New Jerusalem Baptist Church is actively involved in community outreach and missions at the local and international levels. We are comitted to providing a hand up to the most vulnerable and disenfranchised members of our local community and our brothers and sisters in foriegn lands. For over 20 years , NJBC has supported mission work in several countries in need of assistance. We have sent medical supplies, bibles, school supplies, and other necessities to assist those on the front line to make a difference in the lives of hurting people. Our intercessory prayer group meets every Saturday morning at 10:00 am praying and making intercession for our members, the leaders of our community, and the world at large. Our prayer warriors take the concerns of those who have requested special prayers for family members and friends. The intercessors pray with sincere hearts and many spend time fastiing to purify themselves so that their prayers are more effective in making intercession for others. 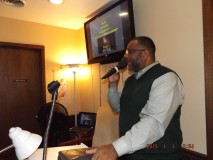 New Jerusalem Baptist Church has Sunday School every Sunday at 10:00 am for adults, and young people. Our young people's class teaches dynamic basic foundations of the Bible in order to prepare our young students through Bible based teachings. Our adult class offers life application principles for the more experienced Christian Bible students. Our children's ministry addresses stories of the Bible that help the young learner engage the Christian experience through interactive methods. New Jerusalem provides children's ministry at each of our worship services for all ages. We have a nursery for the infants and babies equipped with loving care givers available at each service. We also have a toddlers's ministry, children's ministry, teen ministry, and young adult ministry as well. Our teachers are compassionate about teaching the Word of God to our young people. They are skilled and trained to help young minds understand the message of the Gospel of Jesus Christ in practical and inovative ways. Take I-65 North towards Louisville, KY to the Old Hickory Blvd. Exit 92 towards Madison, TN – Turn right onto Old Hickory Blvd. TN 45 – Continue on Old Hickory Blvd. to the first light - Turn right at the light and intersection onto South Graycroft Ave. – Continue driving on South Graycroft Ave. towards the light at the intersection at Due West Avenue North - Turn right onto Due West Avenue N. – Turn immediately left onto Briarville Rd. – New Jerusalem Baptist Church is located on your right. 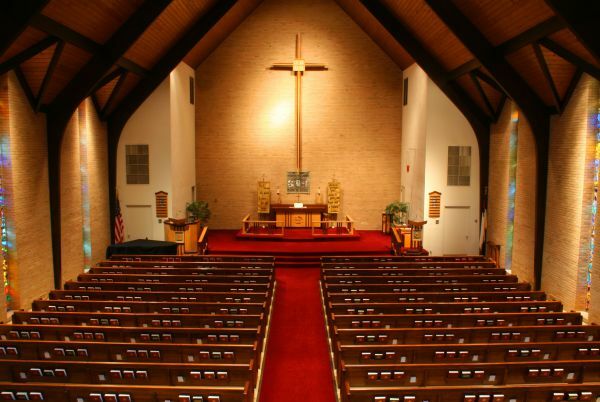 The church is located in Madison, TN just 8.5 miles north of downtown Nashville, TN. Briarville Rd. is directly off of Due West Avenue N. which runs between Dickerson Rd. and Gallatin Rd.